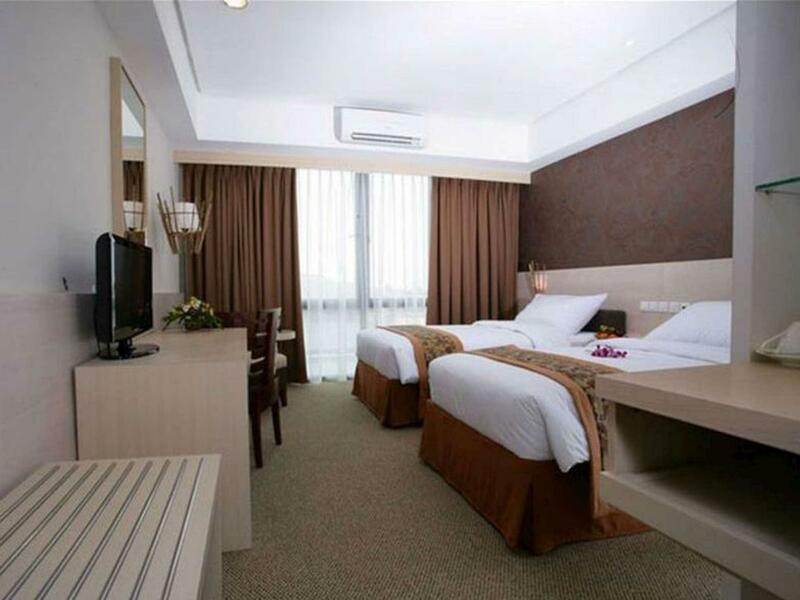 Имате въпрос към Ratu Hotel Serang? 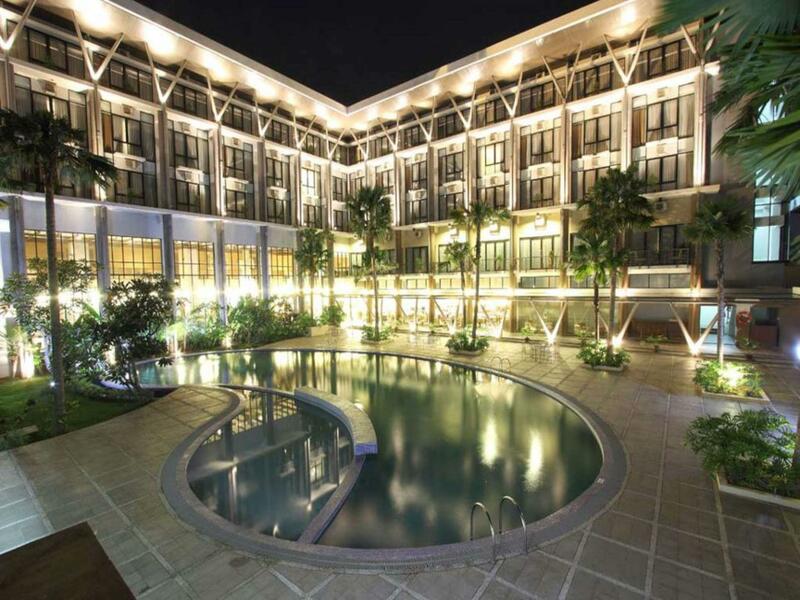 Ratu Hotel Serang, който се намира в Серанг / Силегон, Бантен, е популярно място за туристи. Вълнуващият център на града е само на 30.7 km оттук. С удобното си местоположение хотелът предлага лесен достъп до всички градски забележителности, които задължително трябва да се видят. Ratu Hotel Serang прави всичко възможно гостите да се почувстват удобно. Затова хотелът предоставя най-добрите услуги и удобства. Хотелът осигурява 24-часов рум-сервиз, 24-часова рецепция, съоръжения за инвалиди, експресно настаняване/напускане, съхраняване на багаж, за да гарантира комфорта на своите гости. Като допълнение всяка хотелска стая предлага широка гама от удобства. Много от стаите са с телевизор с плосък екран, достъп до интернет (безжичен), безжичен интернет достъп (безплатен), климатик, бюро, за да удовлетворят и най-изискания вкус. Хотелските съоръжения като открит басейн, спа, градина са идеално място за почивка след тежък и уморителен ден. Открийте интригуващата комбинация от професионално обслужване и широка гама удобства в Ratu Hotel Serang. as you can see, i booked 3 rooms at this hotel. 1 deluxe with queen bed, and 2 superior with twin bed. But on deluxe room, they gave me twin bed, exactly the same like superior room. The reservation staff said, the sold out the deluxe room with queen bad. I was so mad because me and my husband have to sleep seperate. Very uncomfortable experience and no good sleep. I already complain but there was nothing they can do plus the supervisor on off so I cant meet him/her. The room they gave me was a superior room. exactly the same like the two superior rooms I booked. But I paid deluxe room price. More higher price. Can you do something about this issue? to makes me feel better? I upset because the staff hotel have no solution for me. I moved the twin bed so its look like queen bed but not comfort at all. This is my first bad experience reservation from Agoda. Please explain. 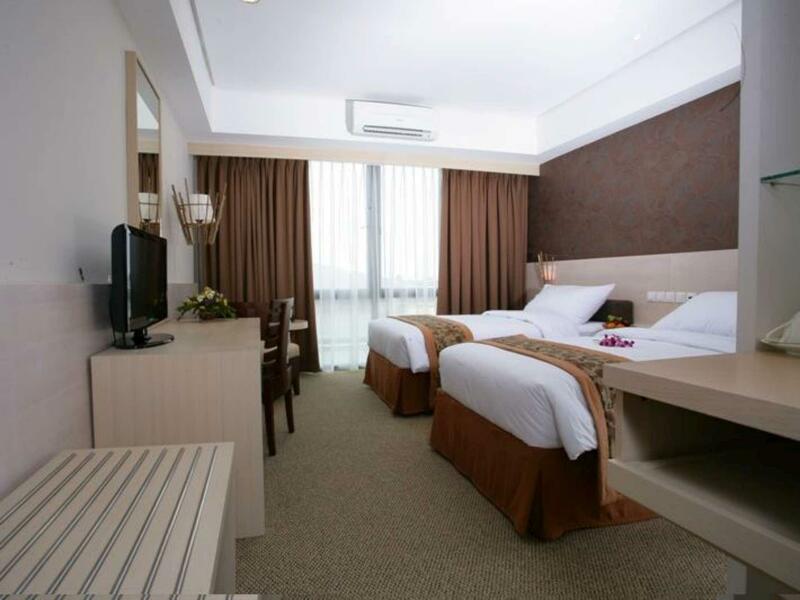 The reservation said, they have deluxe room with queen bed AND twin bed. But at their document for my booking, theres no mention about my type of bed. So they gave me and my husband twin bed. Fyi, 1-2 weeks before I called the hotel to check my reservation. And the reservation staff said my bookings are safe. They lied. Please do something about it. Thank you. room unmaintained,broken towel,the service is not good,actual rooms are not in accordance with the review on the website...when complaints about the discrepancy room, hotel staff blamed the Agoda website that one conjures images. really disappointed.. If you stay in this hotel for business trip don't forget to ask the receipt and also don't forget to take back the deposit money. If you not ask this they not give all of that. And also the GM is not polite, she can smoke in front of the guest. I'm very dissapointed with Ratu Hotel. 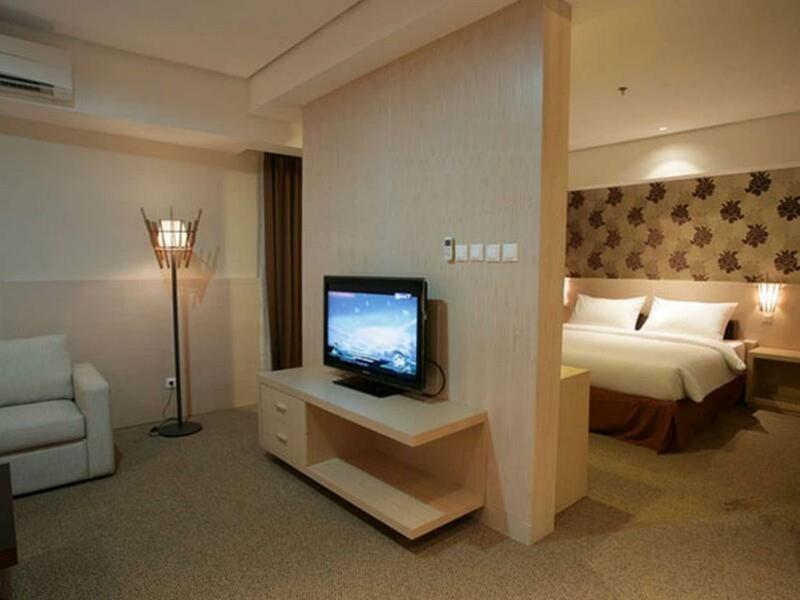 I booked 3 rooms at Ratu hotel with my family. We arrive at 9:30 PM after spent 7 hours to Serang. When we arrived to our room the water in bathroom is really dirty (brown, smell,mud). I called to receiption to ask what happened about the water in our room and they said "Just open the tap and the water will clean". We waiting until 2.5 hours and the water still dirty, we really exhausted but we couldn't showered, washed our face, brushed out teeth. I called again to receiption to ask the complimentary mineral water for us to wash our face and brush iur teeth, they said "yes" but we waiting until 1 hour until the housekeeping come to our rooms and just gave 2 BOTTLES of mineral water, it really terrible service for 4 stars hotel. Easy check in, friendly staff who were able to answer all our queries. Detracting feature in the room was overhead bathroom light on permanently, which shone through glass wardrobe into the bedroom area, making sleeping difficult. Friends who came to pick us up had difficulty exiting the car park as it was not drive through. look, it really isn't a palace to write home about, but you aren't in Kansas now Dorothy, you are entering rural Indonesia. As a westerner who is accostomed to all kinds of hotels right through out SE Asia over 10 years, it gets the job done. Food serviceable, staff pleasant, business centre running reasonable Internet in, but very old and slow PC & printer & out of date MS office software, but gets basic jobs done, wifi in rooms patchy.. It is a Muslim country rural area with 4am call to prayers blasting out loudspeakers.. Obviously alcoholic beverages are scarce but some beer and very over priced wine on room and rest. menus. Convenience stores to the left and right..(no alcohol) and McDonald's/ Carrefour supermarket a 10 min walk (not at night) or Cab it. La Dian does the job for the price in Serang, I'd check for yourself if your thinking of having a honeymoon there! !..but is better than Ratu Hotel for sure ...just my Obs folks... Safe travels ! The restaurant and the floor corridor outside room very hot. Air condition was either not open or not working well. This hotel is very lack of good entertainment and good staff. Old hotel,needs to be rufurnished. Not a familly hotel, really suits you if you stay for business matter. I really enjoyed the location of the hotel. Staffs are helpfull , good food, but no tissue in my room .